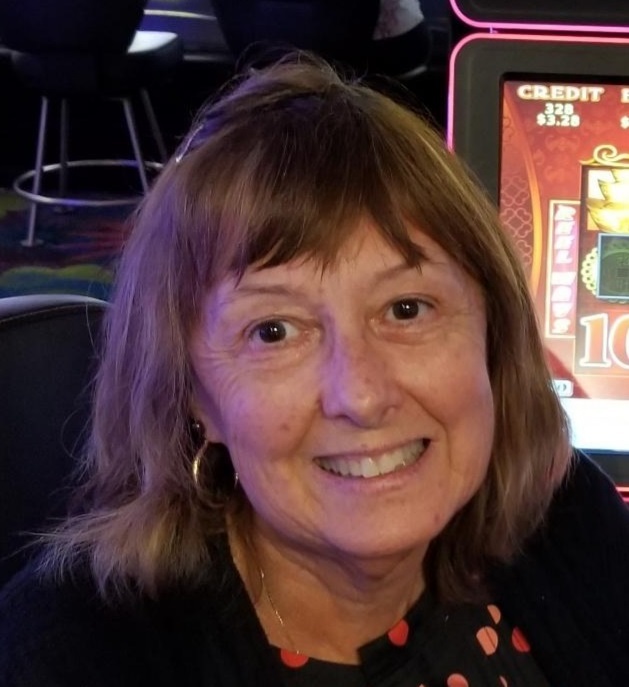 age 63 of Horseheads, NY, passed away on April 3, 2019 unexpectedly at Arnot Ogden Hospital with her family by her side. She was born in Binghamton, NY on July 15,1955 to her deceased parents Mathew and Rosemarie Alerio and raised by her grandmother Anna DiLello. She graduated in 1973 from Binghamton North high School and 1979 from Corning Community College. She is survived by her husband Robert (Bob) of 43 years, her children Robert II (Rob) and Patricia (Trish), Daughter-in-Law Adrianne (Hepfner), Future son-in-Law David Youngs and his son Carter, and the loves of her life her 2 Grandchildren RJ and Annabelle Guardi. Most importantly her 2 dogs Lexi and Jorge who she was totally devoted to caring for, as well as her past pets and current grand-dogs Torre and Geno. She is also survived by her extended family In-law Carlo and Phyllis Guardi, Sister and Brother-in-law Lynda Guardi-Moya and Steve Moya, Nephew David Guardi his wife Amber and their 2 daughters, and Niece Danielle Laing and her two children. The amount of close personal friends is endless. Teri was the most selfless, caring, compassionate, determined woman. She never accepted no for an answer, she believed there was always a way to get things done, and she did. She had the ability to make every person that came in contact with her feel special, feel heard, and an instant part of her family. Her belief was to always make sure that everyone was fed and fed well. When it came to having a good time she was the life of the party. The party always started with one of her unique, and famous Teriritas. Her contribution to the community included, being an ombudsmon for the local nursing homes in the area, her dedication to giving to the SPCA and any other organization in need. She was an active parent in the Horseheads School District always lending a hand and contributing in any way to help fundraising. This is just to name a few of the many acts of kindness this woman did on a daily basis. She had a unique ability to realize that someone needed help and would get it done without them even knowing it. She was always behind the scenes making sure her family and all her close friends were taken care of. There will never be enough words to explain how big her heart was and how much she cared about everyone else before herself. Family and friends may call at the Barber Funeral Home, 413 So. Main St., Horseheads on Thursday April 11, 2019 from 6pm-9pm. Her Mass of Christian Burial will be celebrated on Friday April 12, 2019 at 10 am in St. Mary Our Mother Church . Committal prayers and interment will follow in St. Mary Our Mother Cemetery. These events will be a celebration of her life because she always believed in being together and having a good time. The family insists that in lieu of flowers to please make donations to your local animal shelters in her honor. A special thank you to her physicians Dr. Roger Schenone, Tom Coss PA, Dr. Bruno Mazza, Dr. Mark Gibson, Dr. Edwin Acosta, Dr. Asad Nasir, Dr. Wayne Bellucci, Dr. Alam, Dr. Sethi and Dr. Navarrete. Another one of the many thank yous to the medical staff at Arnot Ogden Medical Center including Rachel in radiology, 4D, and the ICU for their incredible care and compassion during such a difficult time.